Tourism is an important economic engine for the city of Omaha. When visitors come to town for a quick getaway, to attend a convention or to conduct business, they spend money in our community. The money visitors spend at our restaurants, attractions, hotels, retail shops and other enterprises contributes to our local economy, providing jobs and income, tax revenue, community development and other important benefits we all enjoy. 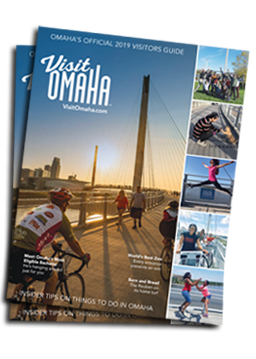 Each year Omaha hosts 12.3 million visitors (a 4% increase from 2014). 5.4 million stayed overnight, while 6.9 million made a day of it. With so much to see and do in Omaha, the total amount of visitor spending shouldn&apos;t surprise anyone. $787 million by overnight visitors and another $443 million by day visitors. All in all, this is an increase of 8% over 2014. 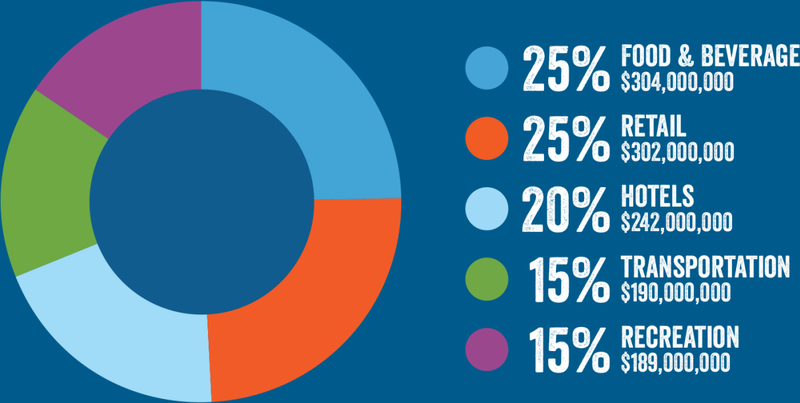 Here&apos;s how visitors spent their money at a glance. The positive economic impact of Omaha tourism can be felt throughout the city. From wait staff to small business owners to city services, tourism means jobs. In fact, Omaha tourism is our 8th largest private sector employer. One in seventeen jobs is supported by visitor spending. Taxes generated by tourism spending helps save each Omaha household $730 in taxes each year. The tax revenues generated by tourism-related spending represents a primary source that helps fund city services including maintenance, upgrades and first responders. Each year, tourists generates 268 million dollars of tax revenue. Here&apos;s the breakdown: $113 million in federal, $78.9 million in state, add $76.1 million in local taxes. In total, that&apos;s a 7.2% increase from 2014.